These are the new features available in the upcoming version 19 releases. Starting with version 19, our software will be available in 64-bit versions. If you are using a 64-bit Windows on your computer, running the 64-bit version of our software will allow it to use more memory, resulting in a more stable experience, especially for very large databases. (BTW: our macOS editions have already moved to 64-bit earlier this year). 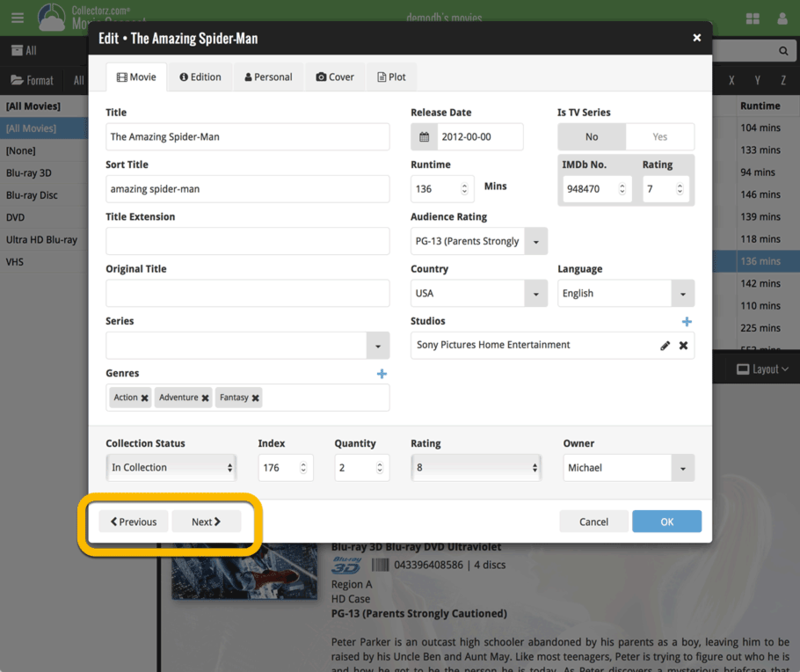 Most users love the new Box Set feature, where it automatically creates entries for all movies contained. But some people absolutely hate it :-(. Add the Box Set as [x] separate movie entries, connected by the Box Set field. Add the Box Set as one single entry in your database, with the movies listed in the Plot field and combined cast and crew lists. A flexible layout that always makes the best use of your available detail panel space, whether it is “wide and low” or “high and narrow””. Of course, available in Dark and Light styles, to match your Skin choice. ETA: We will start releasing the v19’s for Windows next week, one by one, starting with Game Collector. All five should be live within 2 weeks. The macOS editions will be released a bit later, say “early 2019”. TIP: Make sure you renew your Update Plan now, so that when v19 goes live, you can upgrade right way. Just login to our CLZ Shop here and get your 1-year renewal (bundle discount if you renew multiple in one go!). In the Windows and macOS editions, it has always been possible to use multiple database files and switch between them. However, the CLZ Cloud, the Connect software and the CLZ mobile apps only supported ONE database, so you could only cloud-sync one of them. Starting with v19, the Windows and macOS editions will allow multiple sub-collections within one database file. You will be able to switch between the collections, with little tabs at the bottom (e.g. like in Excel). Of course, import tools will be available to import your other database files as collections within your main database file. 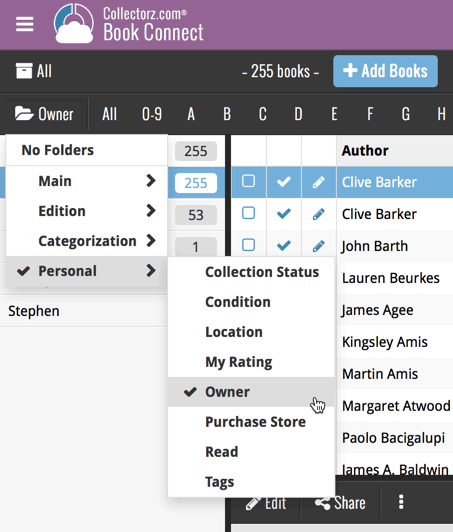 The CLZ Cloud and the Connect editions will be updated to support multiple collections, also with tabs at the bottom, so that you can 1. sync multiple collections, 2. view them online, and if you have a Connect subscription, 3. manage multiple collections online. ETA: within a few weeks. All 10 CLZ mobile apps will be updated to also allow multiple sub-collections. ETA: early 2019. Currently, if you replace the automatic Core front cover with your own image, it will not automatically sync to the CLZ Cloud and the CLZ mobile app. You have to “force” the upload by right clicking your entry and choosing “Upload to CLZ Cloud”. Which can only be done “one by one”. Starting with v19 for Windows and macOS, we are going to make this more automatic. We will introduce a new checkbox “Custom Image” in the Edit screen, which will let you indicate that you want this image to sync to the CLZ Cloud. Also, this “Custom Image” checkbox will be automatically checked when you replace the Core image, e.g. by using Find Cover Online, by dragging and dropping or by using the Browse button to add a local image. A similar “Custom Image” indicator will be added to the Edit screens in the CLZ mobile apps, so that images you replace there will also sync to the CLZ Cloud. Front cover images marked as “Custom Image” will always automatically sync to/from the CLZ Cloud. Also, they will always stay marked as custom, so that even if you clear your cloud, they will re-upload automatically. are nicely designed hi-res icons, ready for hi-res screens. Especially the new “adaptive icons” on Android. now differ more from each other, with app-specific symbols and different backgrounds, while still very recognizable and clearly belonging together. now give at least some indication what the app is about. This month ALL 10 CLZ mobile apps have been updated with the new icon! The CLZ mobile apps are great companion apps to either the Collector desktop software or the Connect web-based software, so that you can sync your data to the app and then access it from anywhere! To buy them, just login to our CLZ Shop here. Bundle discounts if you buy multiple in one go! These new buttons let you go through your list to make changes, while staying in the Edit screen. Just use the Next or Previous button on the bottom left. While doing so, the screen will keep you on the same tab and same field, making it super-easy to make changes to the same field(s) for multiple movies. To improve the search features of Connect we added a new Quick Search box in your folder panel. Especially useful for those long folder lists, e.g. when using Artist, Author, Actor or Series as the folder field. Just type a few letters of the folder you’re looking for and the folder list will instantly “filter down” to the matching series, while you type! A small UI tweak made necessary because of the growing number of field options for the folder panel: the folder field menu is now grouped into multiple categories, like Main, Details Personal, etc..
With that in place, we decided to add multiple new folder options immediately. New “Year” folder options are now available for all date fields (like Purchase Year, Added year, Seen it year, etc..). Also, for Comic Connect, ALL creator types are now available as folder fields, plus there is a new “All Creators” folder option, that groups all comics into creator folders, regarless of their creator “role”.